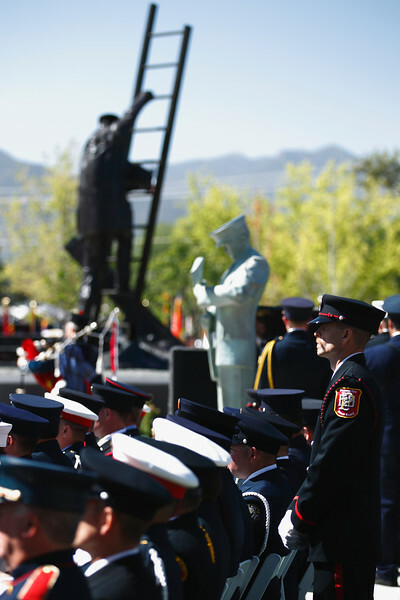 For photographer David Murphy, honoring fallen firefighters couldn’t be more important. It starts with the badge on his camera strap, which reads “Old Orchard Beach FD Lieutenant”. It was the badge his father wore as he served their hometown during the year 1977 (his 19th with the department). It’s one of David’s most cherished possessions since coming across it in a box of family keepsakes in a move about 2 years ago. Another of those cherished possessions is a key to David’s passion for photography, a simple Kodak snapshot from a go-kart parade down route 1 in Scarborough in the summer of 1977. Sitting in the lap of his father, William R. Murphy, Jr.,the two rode down the main traffic route in town. It’s the last photo of the two together. On his day off on December 7th, 1977, David’s father called in to the dispatcher to advise them he was responding to the call of a dog that had fallen through the ice of a pond up the street from their home. Following the successful extraction of the dog, alive, Murphy complained of fatigue, went up to his truck and suffered a major heart attack. He was revived on site, but lost on the way into Maine Medical Center in Portland. 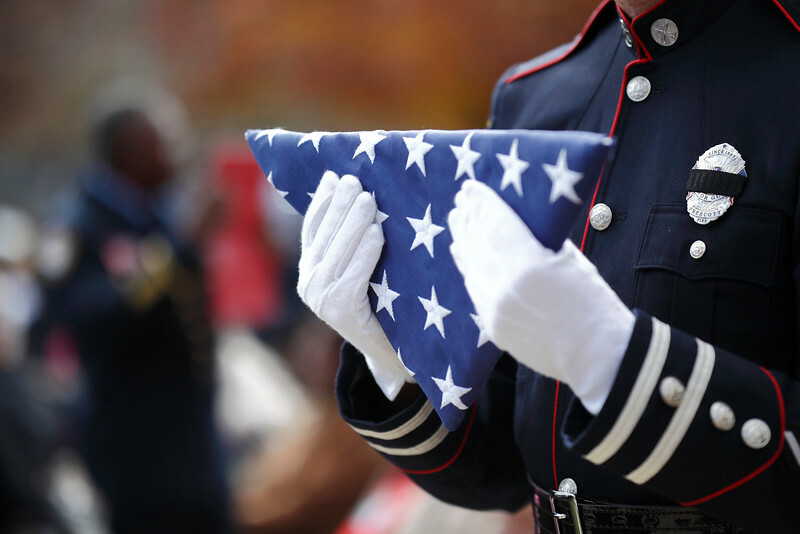 Since December 7th, 2013, David has attended memorials and services that have had an organic connection to his life experiences as a Line Of Duty Death (LODD) Survivor. It began with David’s first visit to Worcester, Massachusetts for a Christmas concert by Christian artist Jeremy Camp. 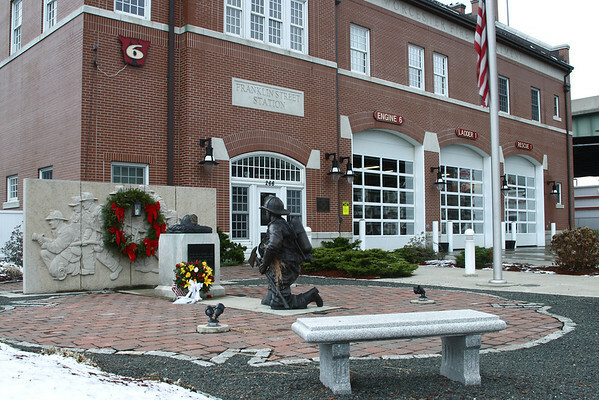 While there, he visited the Worcester Fallen Firefighters Memorial, commemorating the deaths of “the Worcester 6” on December 3rd, 1999 (four days before the 22nd Anniversary of David’s father’s LODD). It was the initial inspiration of “Last Alarm:Tributes to Fallen Firefighters”. David identified with the families of the Worcester 6 because the event happened just 4 days before the anniversary of his father’s death. He was well aware of the sort of emotions they would go through at the holidays and on other special occasions with the absences of their loved ones. The following March, David was in Boston to celebrate his 40th birthday with a concert by the Grammy Award winning band Switchfoot, including a photo pass to photograph the performance thanks to their management company, Red Light Management. 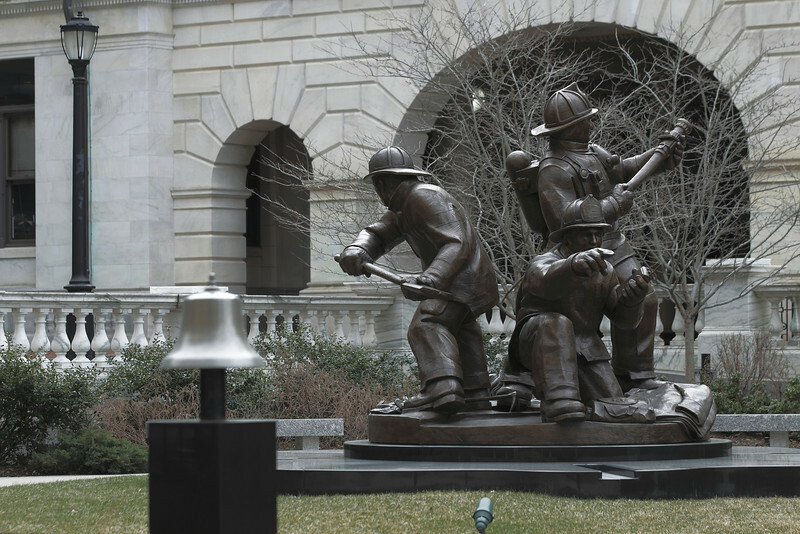 The following day, David visited the Massachusetts Fallen Firefighters Memorial at the state capitol building. 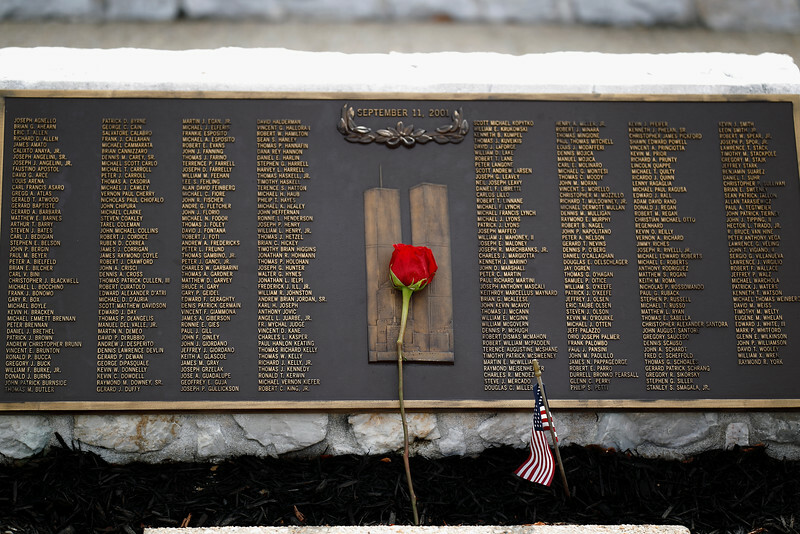 While approaching the state park rangers at the gates, they engaged in a brief conversation and the rangers opened the gate on a Sunday afternoon to allow him the opportunity to photograph the memorial from inside the fence. Three days later, on David’s 40th birthday of March 26th, Boston Fire lost Lt. Ed Walsh Jr. and FF Mike Kennedy in a wind-fueled 9 alarm fire on Beacon Street. David returned to Boston for the annual service at the memorial on September 11th to pay tribute to Walsh and Kennedy’s deaths, as well as all other firefighters across the state lost in 2014. David has launched a kickstarter online funding initiative to finance the remaining elements for 2016 to finish the project as envisioned. “The Home Stretch: part of the Last Alarm project” is open until May 13th to fund $4000 for travel to Emmitsburg, Maryland for a third time for the dedication of the Project Roll Call space at the national memorial. The space is reserved to honor all LODDs from the years before the establishment of the memorial under President Reagan in 1981, including David’s father’s. The dedication is scheduled for June 11th of 2016. 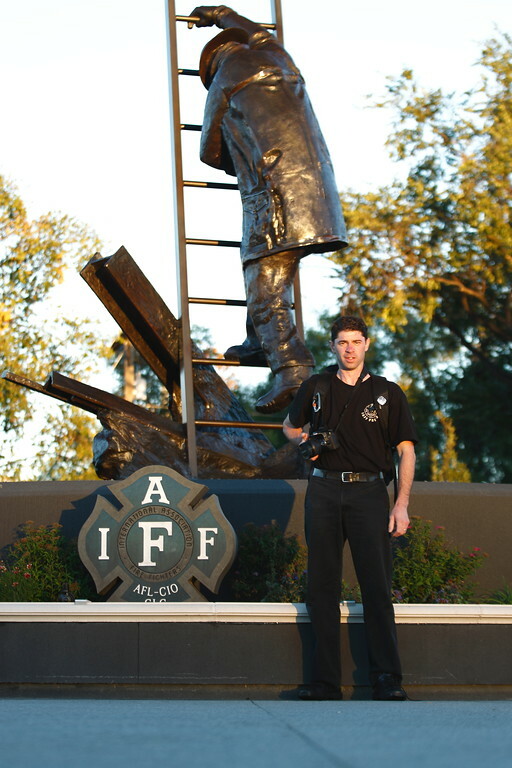 Following that, David hopes to photograph Miami-Dade Fire Rescue’s Engine 3, dedicated on September 11th, 2015 at 8:46 AM to the memory of the members of FDNY killed in the World Trade Center attack. David hopes to finish the project by visiting New York City to photograph the 15th Anniversary of 9/11 at the World Trade Center Memorial. In Portland, Maine on the night of September 11, 2001, a staff photographer for the Portland Press Herald took a photo of David, with his head buried in his hands near the front row. 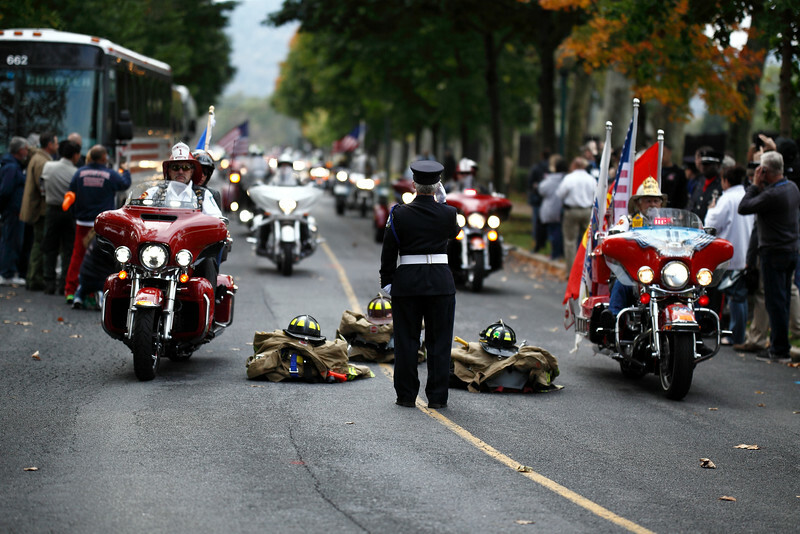 The editors of the paper chose that shot as the only local shot on the front page of the September 12th edition, providing another connection and motivation for David to continue this project through to honor the lives lost in the single greatest Line of Duty Death event in American history. I'll state the obvious to begin. 2013 is history. The things you said and did are in the past, lost to a memory that will only give you bits and pieces except for the most profound moments, and even those will likely lose clarity with the passage of time. There will be exceptions, just as there are for me. My most noteworthy instance is the purest example of love between a daughter and her father that I've ever seen. It came as an 88 year old man experienced his 64 year old daughter saying "I love you dad" for the last time. Moments before, her senses had been dull for about 5 hours. He stood out of her line of sight for about two and a half hours. When she finally caught sight of him near her kitchen, she asked to bring him over by her hospital bed in the living room. When he approached, the morphine induced haze was swept away like driftwood with the rush of a strong wave. Clarity in her eyes gave way to a deep and abiding love. As he took his place by her side, her eyes resonated with a lifetime of emotion, and she expressed her love simply, but deeply. It is an image I will never forget, even though I had no camera in my hands and I never took the shot. Speaking from a deeply personal experience, the pictures you will regret most in your life will be the ones you never take, like the one I described above. The daughter was my mother Doris, in the final hours of a ten week battle with Stage 4 Breast Cancer. The old father was my Pepere (grandfather for those of you who don't understand Franco-American French), Henry. It's not about technical expertise, it's not about gear, it's about the preservation of the human experience in the moments that matter. And you might be surprised, when you look back, which moments mattered most. It might come in a child's playful silliness, or it might be the triumphant return home from a fierce battle in another corner of the world. For our soldiers fighting our enemies throughout the Middle East, the innocent silliness of a child brings peace and hope for a brighter future, and resolve to see a difficult mission through to a successful return home. The same is true for an American Pastor now imprisoned for 15 1/2 months in Iran for believing in Jesus Christ instead of Mohammed (Saeed Abedini, father of two, missing his wife and children and enduring the torture of an Anti-Christian regime daily). So for 2014, resolve to observe and preserve life best as you can. It's an easy resolution to follow through with, and it will bring you treasure, but not prosperity. Don't worry about the $5,000 thirty-something megapixel camera and the $2,600 lens. You only need those if you intend to make a living at photography by commercially selling large prints, and that market is incredibly hard to have success in (I know because I've been trying (unsuccessfully) to do so for 3 years. In fact, when I started this quest, I still owned the home overlooking the Atlantic Ocean where that treasured moment between my mom and her dad happened. Like the woman at the end of Indiana Jones and the Last Crusade, I was holding on to the that home with every last ounce of resolve. Like Indiana Jones, I was forced to see reason before impending doom and resign myself to the fact that to live my life, I had to let it go forever. The past can only exert as much influence on our present and future as we will empower it to. By the way, about observing and preserving this life we live, my mother took a photo once while observing my dad and I driving down Route 1 in Scarborough in a go kart during a firefighters convention. My brother and Uncle were riding on adjacent go-karts. It was the last photo I had taken with my dad, he died that December. 25 years later, my cousin Shelly took a photo of my mother and I at Christmas, which ended up being the last photo I would have of us together. Within 2months, she was diagnosed with Stage 4 Breast Cancer. As I said, when you take those pictures, you will find treasure, but not prosperity. May 2014 bring the peace of the Heavenly Father and His Son to your life and heart. "Lord, show me your peace, because I don't feel any in my heart this morning". These words were in my heart and on my mouth the morning of December 16th, after a series of events that morning had brought me down. Within 45 minutes of saying that prayer, this composition appeared within the viewfinder of my camera. As the bird flew into view, I rotated the camera from a horizontal hold to a vertical one. This was one of the first frames recorded. When I reviewed my shots and saw this, I was amazed and humbled. The distinct shape of a hand through the clouds validated my prayer, uttered in the quiet of my car. I hope that this picture will help relieve your own sense of stress and remind you that you are part of a world that's more than just what we can see. In the quiet of the hour or so leading up to a spectacular sunrise, I am studying it, attempting to learn all that I can and improve my instincts for exactly what sort of scene will play out before me. There's so much that I can't discern until it's playing out in front of me, but there's a great deal that I've developed a sense for. I know people may tire of my devotion to capturing the first rays of light over my home, but it won't stop me from capturing it. While I have always appreciated a good sunrise, at its root, it all goes back to a simple prayer said on the National Day of Prayer in 2003. Life has a way of changing your perspective. Sometimes a single moment can define you for years to come. That was the case for me on the morning of May 1st, 2003. It came with the last prayer I heard my mother pray; "Lord, thank you for the sunshine, even though we can't see it. We know it's only because it's where it's needed most". Two days after that prayer, clouds covered the bay at dawn, but the sun quickly burned through them and remained the whole day. A couple hours after that sunset, my mother's spirit left us, following the sun into eternity. The ten weeks that she battled Breast Cancer were cold and filled with snow, rain and gray skies. That prayer made me respect sunrises and the power and hope that they bring to people. Out of my love and respect for my mother Doris, I committed to the preservation of inspirational dawns wherever I happen to be. I hope that at the very least, you can respect that a deeper meaning drives my passion to capture the waking skies over southern Maine and hopefully, one day beyond to other horizons. If you happen to know someone who could use the inspiration of a bold and vibrant sunrise, please consider investing in my work as a source of encouragement. Tell them I caught this one for them, and I hope that it will encourage them to draw near to God and find the strength to continue on, to see what the next sunrise holds for them. In the Spring of 1980, the Old Orchard Beach Fire Department held a dedication ceremony. A bronze plaque was placed under the driver's side door of their new Mack CF pumper, designated Engine 3. 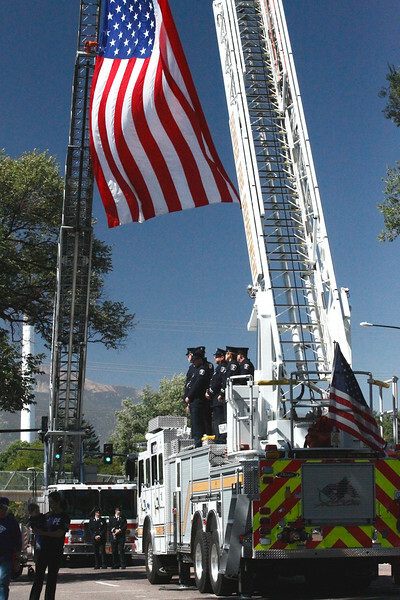 The truck was dedicated to the memory of the Assistant Chief of the department from 1953 to 1963, William R. Murphy, Sr. It was also dedicated to his son, who shared his name. William R. Murphy, Jr served the department from 1958 to 1977, when he was lost to a heart attack after rescuing a dog that had fallen through the ice at Milliken Mills Pond. It seems to me that the skies above Old Orchard often hold the fires they spent years fighting, especially at sunrise. My name is David Murphy. In 1977, the firefighters in Old Orchard Beach used to call me "Truck", both because I loved the fire trucks and because whenever I was in my dad's old International pickup, I was standing on the bench seat inches away from him. When I decided to try and make a name with my photography, I decided it would not be my own. For one, there are many photographers with the same name. More importantly to me, Engine3Photo represents my dedication of my work to my dad. Since returning to a childhood appreciation of photography that my mother encouraged, I have been blessed with the opportunity to witness many spectacular sights in my home in Southern Maine. I challenge myself to capture and preserve them in such a manner that those who view my work feel like they could have been standing right beside me experiencing it for themselves. In addition to my landscape and nature work, I have also practiced event photography through many concerts for my own portfolio and through gameday coverage for the Portland Pirates through regular season games in the 2009-10 and 2010-11 regular seasons, as well as playoff series against the Manchester Monarchs, Connecticut Whale and the eventual 2011 Calder Cup Champion Binghamton Senators. For years this blog has sat receiving very little TLC. That is about to change. In my efforts to turn my obvious passion for photography into the means by which I attempt to fulfill my role for providing a better life for my family, this blog will soon receive a restart. There is much I have to learn, but also some which I can teach. As experience is the best teacher, I will be making every effort to share some of what I have learned. This blog will be meant for the novice photographer/dreamer, at least to start. That and those who have taken an interest in me and my work, beginning with an introduction that will link back to my official site, Engine3Photo.com. Included will be a new look for the blog, as much as I can fashion, at least. 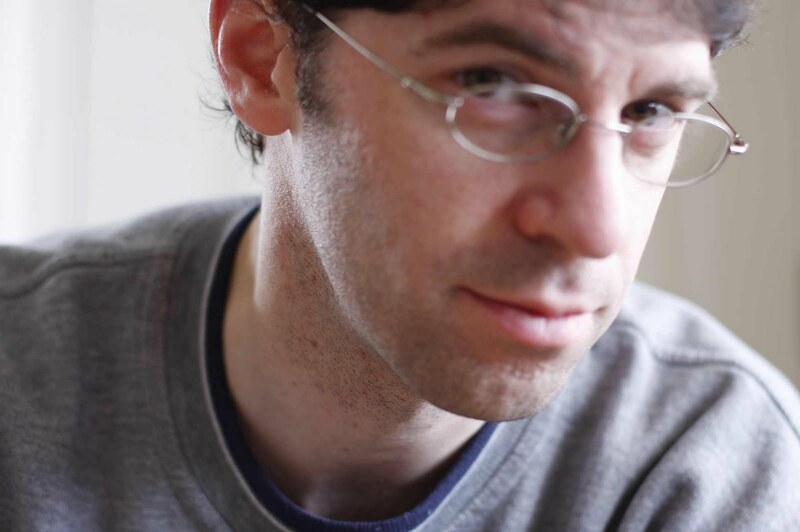 As I write this reboot of the blog where I started trying to gain some traction back in 2008 as a serious hobbyist, the question that titles it seems all too menacing. I confess to substantial frustration at my inability to generate even a modest income to help pay for the repairs on a car that needs a total overhaul after 3 years without being roadworthy, or cover the property taxes that will soon force the sale of a property that's been in my family for 40 years. I've even gone so far as giving my time and talents to my local minor league hockey team in hopes that their owner might see some benefit from having a photographer on hand for everything. All I've learned from that experience is that if I'm not willing to do it for free, someone with less skill who's where I was 3 years ago will. In a sense, I stopped caring about selling my photography this summer. I still want to make it happen, but a few months ago, a fellow photographer here in Southern Maine was hit with one of those hairpin turns in life. His name is Scott, and while he was on a family vacation, he got sick and was admitted to a hospital in Florida. He found out that he had Cirrhosis of the Liver. That vacation cost an extra $14,000 in medical expenses. The hospital started calling on the bills and about a month ago said that if he could come up with ten, they'd forgive the other 4. I sent him a message asking him why he didn't offer some of his photography for sale. He ended up selling a greeting card pack with a shot of Screw Auger Falls he had taken. Between that and donations, he was able to meet the hospitals arrangement. I'm glad that sort of thing worked for somebody. Scott still has serious needs, has been in and out of the hospital and will not survive without a liver transplant. The answer to the question I started this with is because for most people doing photography today, it's not about a big house, fast cars, etc. It's about getting out from under crushing debts caused by living paycheck to paycheck with health insurance that prevents catastrophic losses only ($2500 deductibles per year to make health insurance affordable should be a crime). It's about being able to keep their car in proper working order, before an engine block splits or a tire blows or the radiator stops working right. And it's about being able to cover the mortgage AND taxes rather than ask themselves who would take possession of the property the fastest. So the next time you see a picture you really like on a photographers website, consider buying a small print or download, or contacting the photographer by e-mail asking them what they would want for the picture. It may only be $5 to you, but if 1000 people did the same, that photographer might be able to eliminate ten other creditors phone calls. That would be the power of the American dream right there. Enjoy the sunshine while you can, because when you need it, someone else might need it more.